NH2 features Intel Cherry Trail Z8300, 2GB RAM, 32GB eMMC and Windows 10. With the re-designed HW, performance is 30% improved comparing to NH1. 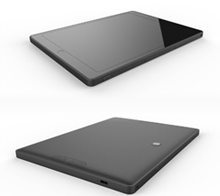 It keeps the same minimal form factor and stays as the world’s smallest and thinnest PC. With HDMI CEC built in, NH2 features auto power on which enhance convenience and makes it a much more capable system for embedded usage. It comes with USB 2.0 or USB 3.0 that reserve the ability for faster data transfer. •	Solution for mobile employees – only need public monitors in the office. The sensor stick IU1 is a smart environmental data logger for transportation. With high performance Toshiba MCU TZ1000, integrated sensors and Bluetooth available, IU1 is capable of measuring acceleration in all three axes and visualizing environmental data such as vibration, pressure, temperature, humidity and lightness. It can detect shock events promptly and easily, and provide those data to users. It’s an extremely portable and rechargeable product which can be utilized in various applications such as Home Automation, Energy Control, and Drone Control System, etc. UR1 features Intel Core Ivy Bridge i3 CPU, support up to i7, and its interface is Intel OPS (Open Pluggable Specification) that increasing flexibility for user to any digital signage application. UR1 is designed with 8GB RAM, 500GB HDD, and it also supports USB 2.0 x4, HDMI x1, VGA port x1, Giga LAN port x1, Audio Out x1, JAE TX25 (80pin). UR2 is powered by Intel Atom Qual Core E3845 processor, support for two DDR3L 1333/1066Mhz, SO-DIMM slots and mSATA SSD. It is packed with various kinds of functional ports, including Micro USB, USB2.0, HDMI, Micro HDMI, DC Jack at left side, RJ45X2, Audio Jack (Combo), USB3.0. It also built RS232, RS485, LVDS connector, half minicard and full minicard on board for extendable applications. B82 is capable for both Windows and Android system. 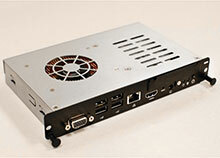 B82 is equipped Intel BayTrail-T processor, a processor with low cost, high performance and less power consumption. B82 adopts 8 inch IPS screen, 1024X768 (optional 1280x800) pixel-resolution with Front 2.0M and Back 5.0M dual Camera, and capacitive touch screen. On the communication side, it supports USB, Bluetooth, WIFI, and optionally with WWAN module. To fulfill complex industrial applications, B82 also provides 2 built-in optional sockets: docking connector and internal extension connector for extending the functionality. These versatile features made B82 a device to meet the various requirements for the highly customized industrial market.